If you are short on time or simply don’t have the tools to cut your car, consider pre-cut car body, precision drilled or even a pre-cut and pre-weighted car to save even more time. Precision drilled block gives you speed advantages over standard car blocks. Drilled axle holes helps your car roll straight and give you maximum speed. The Wedge Wing Car is an Official BSA block with drilled axle slots so your car rolls straight. Truly an Italian luxurious sports car waiting to burn rubber down the track. Precision cut Stock Car pinewood derby racer comes with pre-drilled 3/8" weight holes in the back, so you can add Tungsten Cylinder or Zinc Round weights. Precision pre-cut Street Rod Pro comes packed with power. This cars sleek design is a real head turner. All the hard work has been done for you! The Lotus PRO Racer comes shaped and pre-drilled with 3/8" weight holes for tungsten or round weight cylinders. Precision pre-cut Sport Coupe PRO pinewood derby Racer. This is a sleek light car. Easy to stick flex flat weight on the bottom to cruise to the finish line. Racers Start your engines. This NASCAR body with pre-drilled axle slots and pre drilled weight holes makes your job easy. Add Tungsten cylinder, composite, or zinc weights and your on your way to the finish line. This design is so identical to the US Army Humvee that Secret Service thinks we hacked their computers! Car fenders bring cartoon cars to reality. Add these fenders to expand your block over your wheels. Great to use in building Batmobile, Lightening McQueen and many others! 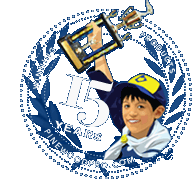 Our objective is to help everyone build a pinewood derby car, no matter what your skills are. Even if you have no tools, you can still participate in the pinewood derby by purchasing a pre-cut derby car. Just do a light sanding, add weights and paint. If you don’t want to add weights yourself, we offer the Lazer and Grey Ghost cars that are pre-weighted and primed.